Ah dice. These little geometric objects are amazing inventions. 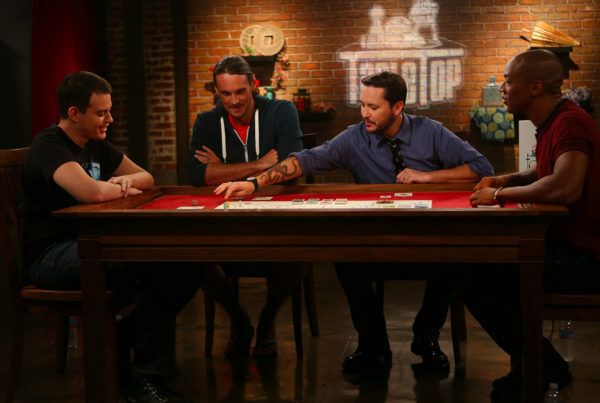 Dice were probably the first tabletop game component invented by humans. They date back as far as written history goes and for all we know even further than that. Every broad class of tabletop game has some or other iteration that makes use of dice. Why? Because many games benefit from some form of randomness generator. If games were completely predictable they would become boring pretty quickly. Card games have randomness built into them thanks to the humble card shuffle. Board games and tabletop RPGs, on the other hand, usually need dice to provide them with a source of randomness. Of course, plenty of games use both. Monopoly has shuffled event cards that can influence the game. Magic the Gathering often uses dice to execute the text found on some cards. Game designers carefully choose how to use dice to control how much randomness is in their game. Most mainstream board games will use one or two six-sided dice. There are however many types of dice that provide different sets of outcomes. There are two things I want to cover here. One is the different types of dice you may encounter as a tabletop gamer. The other is how dice notation works. The latter point is essential to know if you want to play games like Dungeons and Dragons. Six-sided dice is the one most people know the best. These dice usually have dots representing the numbers one to six on their sides. The dice is rolled and the number that comes up top is the one you work with. Obviously you have a one-in-six or about nearly 17% of the time. Then there’s the four-sided dice, which looks like a pyramid. Numbered 1-4, the shape of this dice means it’s the number facing down that you use. Any given value here has a 25% chance of showing up with each roll. Eight-sided dice halve the chance of getting a specific number, but of course the range of numbers doubles. We also see 10-sided, 12-sided and 20-sides dice used as part of the common set for games like D&D. The 20-sided dice is probably the best-known both thanks to it’s awesome looks and the fact that the d20 system and the many similar rules sets inspired by are built around it. 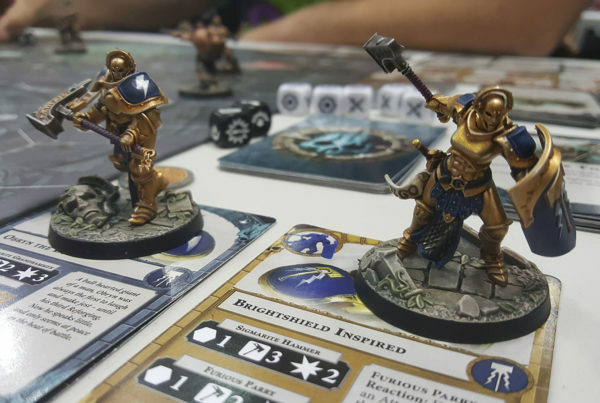 Different dice can be used to introduce very specific ranges of randomness, which means you need to know which dice to roll and how to roll them in order to play. This is way dice notation was developed. It’s a shorthand that makes it easy to know what to do at a glance. The first thing you need to know is the notation for particular dice. A “d6” is a standard six-sided dice. A “d20” is the big daddy 20-sided dice. So the number next to the “d” denotes how many sides the dice has. So easy! If I wanted you to roll two six-sided dice (or roll the same one twice) I would write “2d6”. Although you can write “1d6” for a single roll, it’s not standard practice. So simply writing “d6” would also mean rolling the dice once. Most of the time the idea is to add the two numbers together,but you might also be instructed to do something else. For example “2d6-L” means roll two six-sided dice and subtract the lower number from the total. “2d6-H” means subtracting the higher number from the total. Any number could be added or subtracted to the dice total, as the game demands. Some games even ask you to multiple the dice total by some specific number. Why Have Dice with Different Numbers of Sides? D&D, like most tabletop RPGs these days, uses dice totals as part of a larger set of base numbers and modifiers. There are many different mechanics in the game that need a random number generator. Depending on what you are trying to determine by chance, you need to set an upper and a lower limit. If you need a number between one and ten, you can just roll a d20 since the chance you’ll get a number between one and ten isn’t, well, one in ten. So you need to use a d10. I’ll use D&D for examples of what the various dice are most often used for. Other tabletop RPGs might use them in different ways, but the reasoning is the same. Let’s start with the d20. This dice is used whenever you want to know whether you’ve done something successfully. The task at hand has a so-called “difficulty class” or “DC”. In D&D these range from “Very Easy” with a class of 0, to “Nearly Impossible” with a class of 40. The total of the d20 roll, plus the level of your character’s relevant skills plus or minus any stipulated modifiers are measured against the DC. If the final total is higher than the DC then you successfully complete the feat. In some cases an additional dice roll is needed after you’ve been successful. This is where the d4,d6, d8, d10 and d12 come in. In combat, for example, you’ll roll the d20 to see whether you hit the target. If you do, you need to see how much damage you did. A small weapon’s damage will be determined by rolling a d4. So it can only do 1-4 in damage. Mid-sized weapons would use a d6 and the biggest weapons use a d10 or d12. You’ll notice that no matter the size of the basic weapon, you can still end up doing just one point of damage. However, the bigger the dice, the smaller the chance you’ll hit those low numbers. The DC system is interesting for another reason too. Since you are trying to roll for ranges of scores rather than a specific score, it gives the GM dynamic control of your chances you have to get something right. Let me explain with some examples. First of all, if the DC of an action is lower or equal to the skill level your character has, you’ll always succeed. Unless you get pulled down by a modifier or something. Let’s say you need 20 to succeed, which is pretty difficult. If you only had to rely on the dice, there’s only a five percent chance you’ll roll a 20. 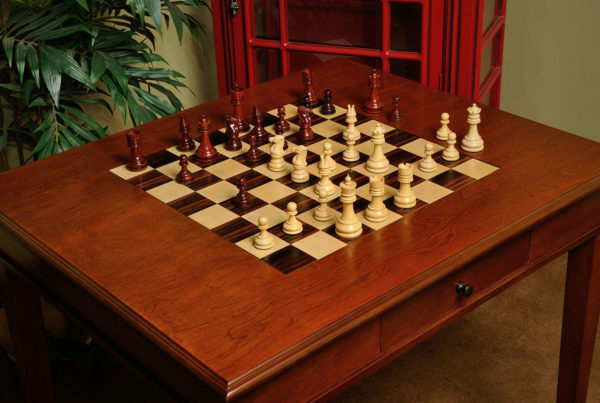 This is known as a “natural” 20 and is usually a reason for a cheer around the table. However, let’s say you have a skill of 10 which will be added to the dice total. So you don’t actually need to roll a 20. You need to roll ANYTHING between 11 and 20 to succeed. The chances of rolling any one of those numbers is 5% and in this case we can add them up, which gives us 50%. There is a 1 in 2 chance that the number you need to succeed will come up. Those are pretty good odds, despite the task being pretty hard. On the other hand, if the DC was 30 with a skill level of 10, the only way to make it is by rolling a natural 20. It’s such an elegant system, don’t you agree? You might be wondering why you would roll 2d4 instead of 1d8. Aren’t they basically the same? Not at all! I don’t want to go into the more detailed rules of probability, but this aspect isn’t that hard to understand. First of all, it’s impossible to roll a one with 2d4. Since the lowest score on each die is 1. Secondly, since you are doing two independent dice rolls the chances of getting a particular dice total is completely different. This is called the probability “curve”. Numbers near the middle of the curve come up much more often than with a single die. If you roll 1d8, the chances of getting and one score is exactly 12.5%. With 2d4, you’ll roll a 2 and an 8 only 6.25% of the time. The chances of rolling a 3 and a 7 is the same as with 1d8. Rolling 4 and 6 will happen 18.75% of the time. On average one in every four rolls will total five. As you can see, this gives the action a particular character that tends to certain totals more than others. The designers of the game are aware of these curves and consciously apply them to the right sorts of mechanics to balance the game and make it interesting. One thing you should understand is that the probability numbers around dice rolls are only theory. In real life it might seem as if your dice aren’t acting the way they “should”. There are a couple of reasons for this and understanding them will help you have a better feel for the game as well. Let’s take a coin flip as an example to make my point. In theory a coin flip only has two outcomes: heads or tails. Which means we expect to see about as many heads as tails results. However, each flip has no influence on the next flip. So it’s entirely possible to get ten heads in a row without there being anything wrong with the coin. If however you were to flip the coin a million times in a row, you’d start to see the total outcomes for heads or tails approach exactly 50%. If the coin were not “fair” then you’d see the outcomes skew one way or another. Perhaps the coin is a little bent or imperfect in some way that makes it show one result more often than another. How the coin and from which starting position it is flipped can also introduce bias. However, the coin would have to be visibly bent for it to be biased in a way we as humans would notice of the small number of flips we’d actually perform. The same is true of dice. No matter how well made dice are, they will always have imperfections which bias them slightly. In practice you’d have to roll them millions of times to determine the bias from small imperfections. 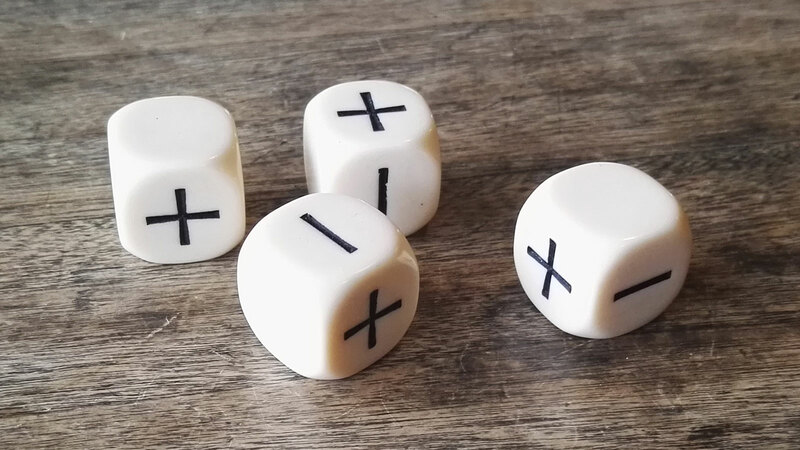 Dice that are badly made or perhaps outright weighted for cheating will show bias much sooner. The best you can do it to buy high-quality dice that have been tested by a machine to meet certain standards. These so-called “precision” dice are usually made from metal rather than plastic. This eliminates the imperfections of plastic molding. 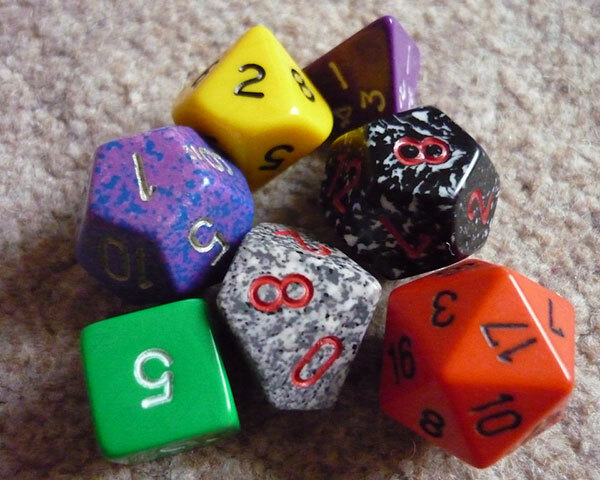 There are also non-metal dice made from other materials which also allow for accurate weight and weight distribution. In practice even slightly biased, cheap plastic dice are not going to have any important effect on the outcomes of your game. While having slightly biased dice isn’t really that much of an issue, what is rather important is getting fair dice rolls. 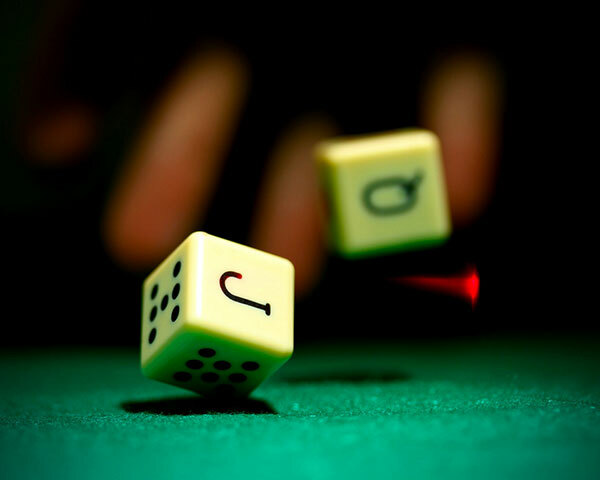 There are plenty of ways that players can roll the dice by hand so that the don’t really roll them at all. As a GM, make sure that players are dropping the dice in a consistent way that doesn’t influence the outcome. You could also invest in a nice rolling box. This will stop dice from rolling off the table and gives a standard surface for them to roll on. Also, it makes dice rolls quiet, in case you don’t want to disturb other people in the house. Finally, if you really want to make dice rolls fair and controlled, consider using a dice tower, This simple device lets you put the dice in at the top and they roll out the bottom to show the results. It takes human error or cheating behaviour out of the equation. Another option is to use simulated dice on a computing device. These days that’s most likely to happen on a mobile app. Since there are no real dice and no interference, this is one way to get past the issue of unfair rolls. You do however have to understand that you can’t really generate true random numbers using current computers. Instead random number generators on a computer use a “seed value” that is put through an algorithm which makes a series of numbers that are as close to true randomness as a computer can get. Does this have any practical effect on your game? Not one bit. In fact, the results are more likely to be fair than any physical dice roll. If you are really concerned, some dice roll simulators use recordings of natural events such as atmospheric data as a source of randomness. They’ll usually say this upfront if that’s important to you. The main drawback of digital dice is not so much whether they are truly random, but whether you can go without the tactile pleasure of real dice throws. There’s something to be said for the feeling of dice in your hands. It’s amazing that such simple objects such as dice have served as the engine driving games for what seems like forever. They are one of the earliest gaming objects invented, but are still complex enough that we can’t simulate them perfectly. Still, as a player or as a GM having an understanding of the nature of dice will help you better understand and enjoy any game that makes use of them. Especially when it comes to tactical decisions. So keep rolling, rolling, rolling my friends!